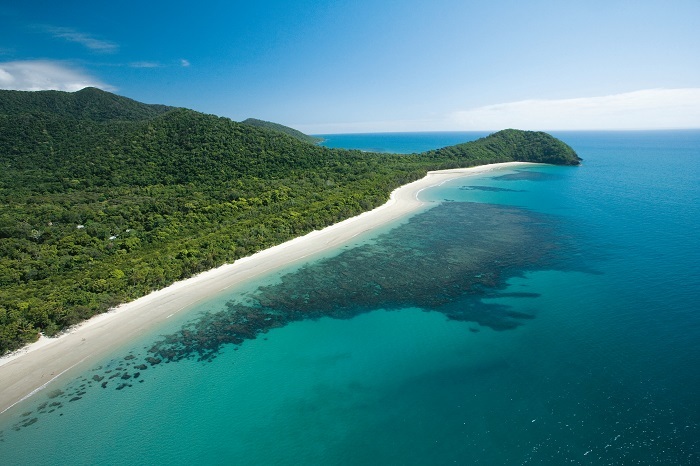 Explore the stunning natural beauty of Cape Tribulation and the surrounding Daintree Rainforest, on this overnight tour. Throughout your trip, you’ll get to discover some of the region’s most incredible scenery, learn more about the history of the area, and get up close and personal with native critters. On the Cape Tribulation and Daintree Tour Overnight we’ll take you to jaw-dropping gorges, lookouts with breath-taking views, and show you some of the best spots in this part of Australia. Spend the night at a choice of three accommodation options and enjoy free time to further explore this remarkable area of the world or arrange a number of exciting optional activities. Please Note: Accommodation upgrades are available however we would strongly advise to check with us for vacancy before booking. Passengers travelling with children under 18 years will need to upgrade to a private room. 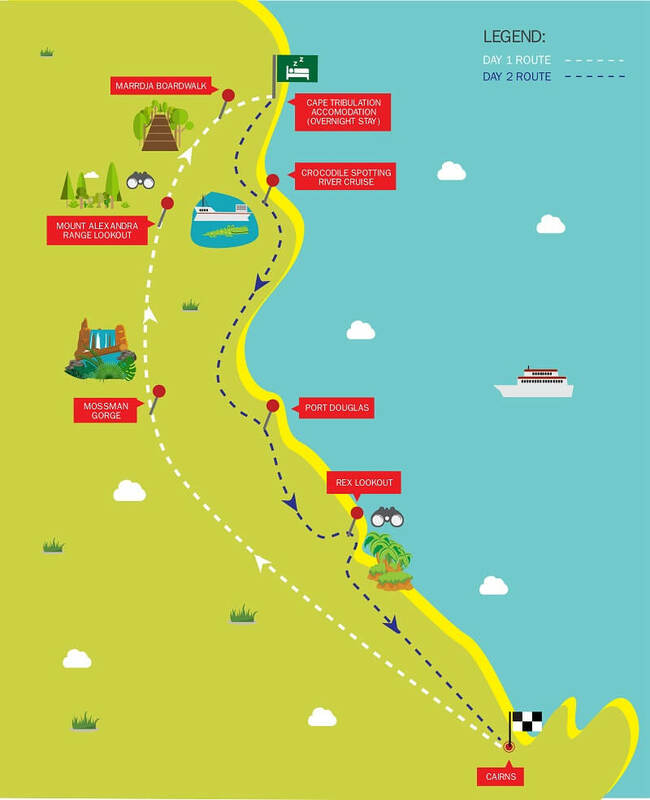 The tour begins in Cairns where you’ll get picked up before we head north along the beautiful coastal road. 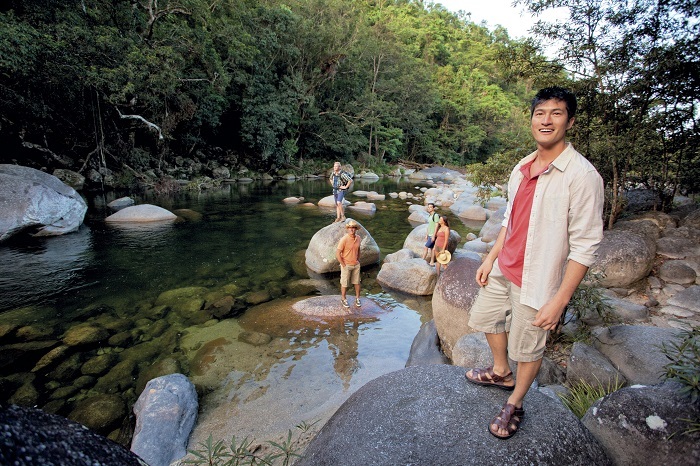 We’ll make a pit stop at the Mossman Gorge, one of the region’s best-loved landmarks and take a refreshing swim. 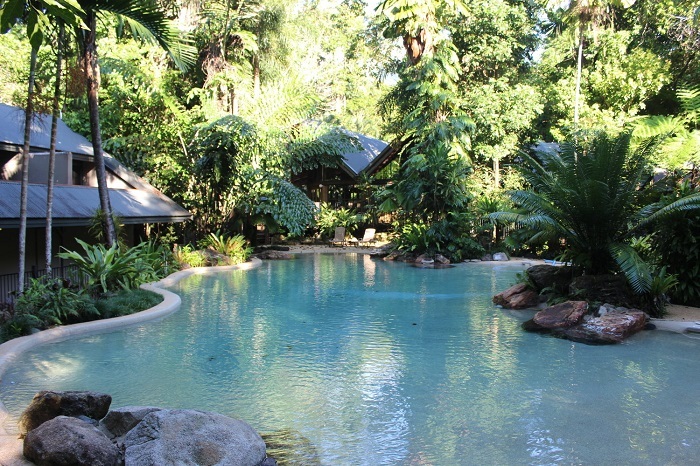 Afterwards, we’ll cross the Daintree River and enter Cape Tribulation. Here, we’ll explore the ancient beauty of the Gondwana Rainforest, stop off at the Alexandra Range Lookout to marvel at the views, and take a stroll along the Marrdja or Jindalba Boardwalk past mangrove swamps and centuries-old trees. We will drop you at your chosen accommodation just after lunch, so you will have the afternoon free to explore at your own place. 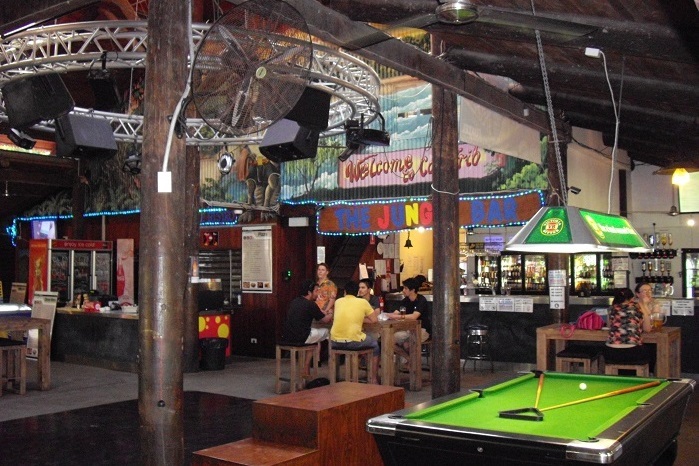 There are a number of exciting activities available from your accommodation including horse-riding and jungle surfing (it is best to pre-book these activities to avoid missing out). 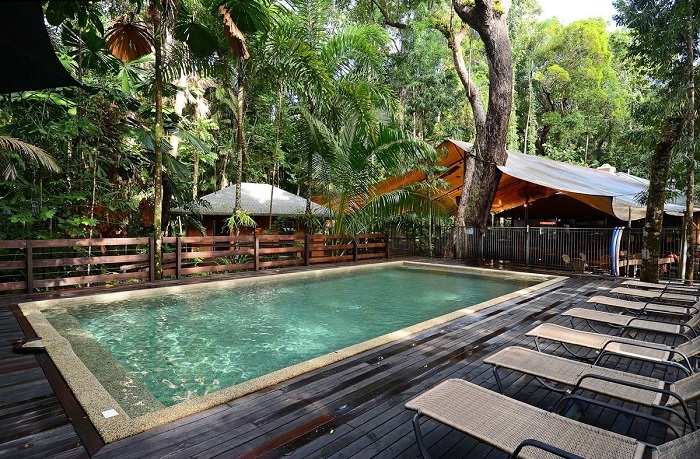 Or you can simply relax in the tranquil surroundings of the Daintree Rainforest! On day two we pick you up from your accommodation after lunch, then we’ll head back towards the Daintree River, stopping off on the way for a refreshing ice cream where you can sample a variety of tropical flavours. Then it’s on to the estuary of the Daintree River where we’ll take a crocodile and wildlife spotting cruise. You’ll get to experience these magnificent creatures up close and learn more about their habitat and behaviour. Keep an eye out for snakes, butterflies, and other native critters here, too. On our way back, we’ll stop off at Rex Range Lookout before heading on to Cairns. Here, your two-day adventure will come to an end.